Before bringing an employee on full-time, numerous companies require a drug test. Even in states where marijuana is legal, there is no protection for law-abiding pot smokers looking to get a job. Furthermore, many employees can get drug tested at any time during their tenure with a company. Just some reasonable suspicion from higher-ups and you can be facing a fine or termination. So, how do you know if you will pass the drug test? Keep reading to learn which states offer employees protection, how to take an at how test and which is the best at home drug test for THC. If an employer wants to test you, that’s their prerogative. While many states have a similar approach as to how they oversee businesses conducting drug tests, each law is different on both a state and local level regarding technicalities. Therefore, you can brush up on your particular laws by clicking on State-by-State Workplace Drug Testing Laws. Keep in mind, if you are applying for a job on a federal level (from post office to governor), drug testing is mandatory. While marijuana is becoming increasingly accepted as a form of medication, there aren't many states with language in their marijuana laws that protect their patients. The states that do offer protections do not excuse a patient being under the influence of cannabis during their work shift. However, the states that have protections in place do take into consideration that these patients' need to use marijuana off-duty and protect them being fired for testing positive. As a matter of fact, Maine has enforced a restriction on employers distributing drug tests to any registered medical marijuana patient. Which States Offer Some Protections on Drug Testing? Although Maine’s law is revolutionary, other states are still sticking up for their patients. Which States Offer No Protection from Drug Testing? On the other end of the spectrum, some states let the employer take the reigns completely. That means they can fire anyone who uses medical marijuana off-duty if their drug test comes back positive for THC. Ohio is an example of a staunch state that gives power to companies who want to establish zero-tolerance drug testing policies. Meanwhile, California is working on adding anti-discriminatory language to their marijuana laws. Now that you have a better idea of where your state may stand on drug testing, we can dive into the best home drug tests for cannabis. Here you will have a better-educated guess as to which drug test is best for your needs. If you are looking for a quick answer and concise results, you can’t go wrong with Care Check. Within five minutes of immersing the strip into the urine, the test will let you know if you are positive or negative for THC. 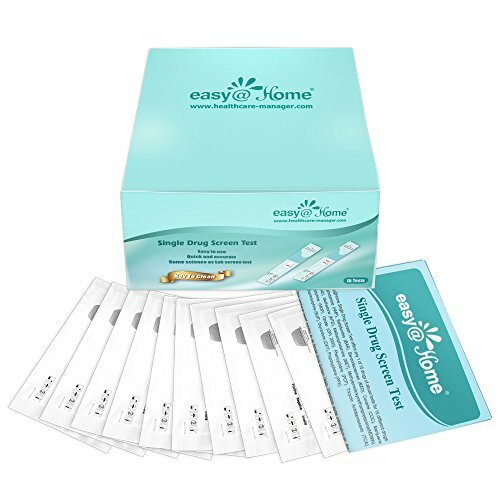 This particular Care Check product is a multi-pack, carrying 16 tests in the box. Having extra kits is handy for any heavy smoker who is in a crunch against the clock. Taking multiple tests will help you track your progress so you can better project when your urine will turn up completely clean. If you thought Care Check clocking in at five seconds was supersonic speed, the [email protected] THC Kit gives you results in 1 second of immersing the strip into your urine. One thing that is rough about at-home marijuana test kits is that the line is so faint that you doubt if the results are accurate. This could send someone who is relying on a clean test into a panic. You don’t need to worry about this with the [email protected] test kit. When this strip delivers results, it comes with a bold, distinguishable line. For the record, if you do receive a faint line in the T (which is stands for test), then you are clean. What sets the ÜTest apart from a lot of the other tests on this list is that is tests within 20 ng/ML. As compared to many of the other tests on this list (and many that companies administer to their employees) that measure 50 ng/ML, this makes the ÜTest more sensitive. Therefore, you can expect more comprehensive results. If you get a clean result from ÜTest than you can expect to pass whichever scheduled drug test you are preparing to take. This is a very run-of-the-mill home testing kit. With the Versi-Sure, you can anticipate clear results on time. 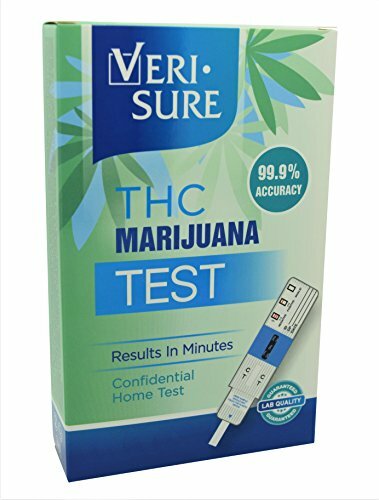 While it doesn’t come at the speed of the [email protected] or the sensitivity of ÜTest, Versi-Sure’s standout is the number of drug tests that come in its kit. 5 is a sweet number for anyone who is actively checking to see if they are getting cleaner in the lead up to their actual mandated drug test. Whereas with the Care Check, 16 might be a bit excessive for someone who doesn’t need to prep for multiple occasions. While stocking up may be cheaper, many at-home drug tests come with a 2-year expiration. This is due to the chemicals on the slab that gives you the results. They will lose their potency with time and may cause an inaccurate reading. UTest ups the game again in terms with sensitivity and at-home drug test innovation. 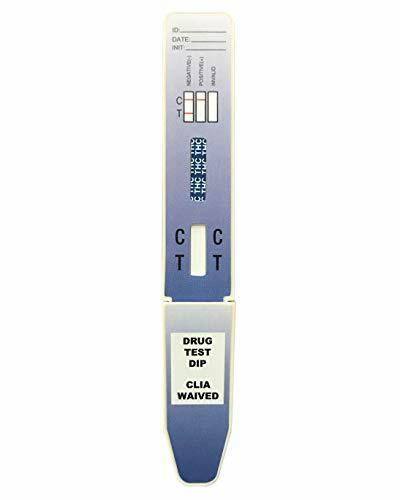 With the UTest-O-Meter 5 Level strip, it gives you a scale of sobriety, so you have a clear indication of how close you are to peeing clear urine. This test kit measures up to five sensitivity levels. You will be hard-pressed to find a more accurate reading than the UTest-O-Meter. This test is much like the ÜTest Highly Sensitive. 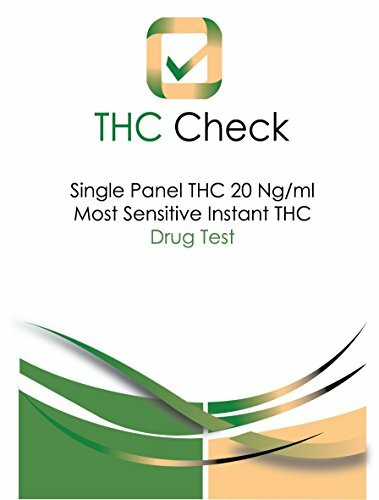 THCCheck measures 20 ng/mL, making it more efficient than the [email protected] and Care Check. Another quality this kit has in common with the ÜTest Highly Sensitive is that the THCCheck is a two-pack as well. 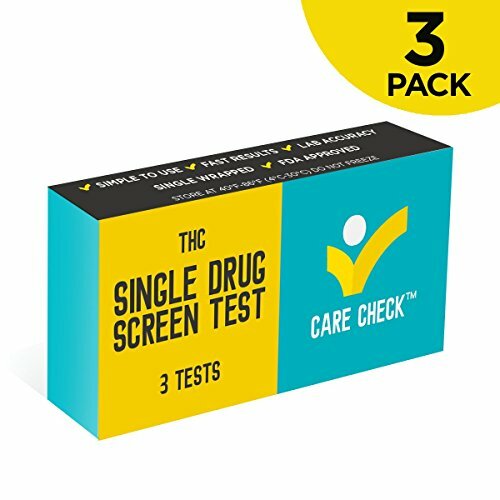 You can expect accurate results with the THCCheck and go into your scheduled test with confidence if you passed with this as your at-home drug test kit. Like all the others on this list, you can expect to get accurate results with the Science Purchase Instant Drug Test. What makes this particular drug test stand out from its competitors is how bold the results are. With one red line indicating positive results and two red lines standing for negative results, you won’t be left scratching your head if the line is clear enough or not. 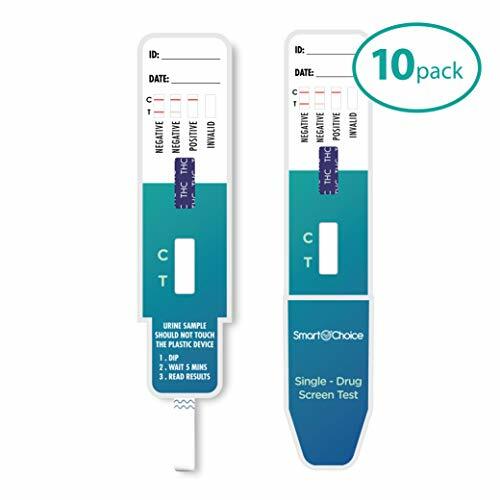 As there are ten packs included, the Science Purchase INSTANT Drug Test Kit is for someone who has a longer journey of cleaning their system out than the Veri-Sure. However, they don’t need as many as the Care Check has to offer. 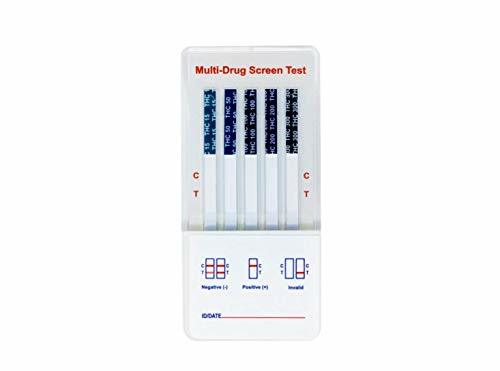 With a sensitivity level of 50 ng/mL, the Identify Diagnostics Marijuana Drug Test is efficient for anyone looking to pass a scheduled drug test. However, if you are administered a test that measures up to 20 ng/mL, you may be at risk if you pass the Identify Diagnostics Test. 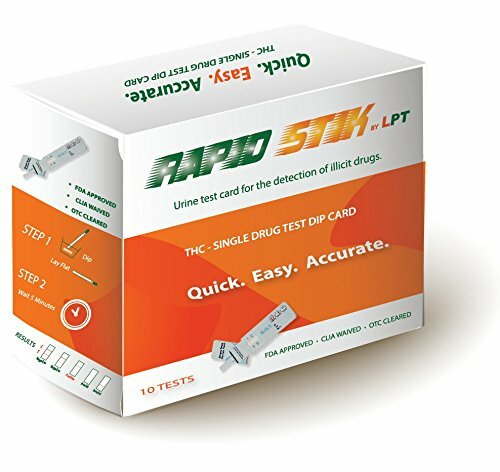 The Identify Diagnostics Test also boasts a 40-day window that the test can detect marijuana levels within your system. Of the less flashy at-home drug tests, this Identify might be the most attractive of the bunch. With its predominantly blue hue, it does add a little to charm to an otherwise bland test strip like every other one on the market. While the SmartChoice isn’t a bad choice, it might not be the best choice. It does all of the other functions of most of these tests (sans UTest and TCCheck), but it only has a 30-day marijuana detection guarantee. Therefore, the Identify Diagnostics has ten extra days of detection. Also, this test guarantees a 10-second wait. While you're splitting hairs at such a minuscule chunk of time, it's still longer than the Veri-Sure and Clear Check. This is an innovative tool that can help capture everything that might be going on in your system. 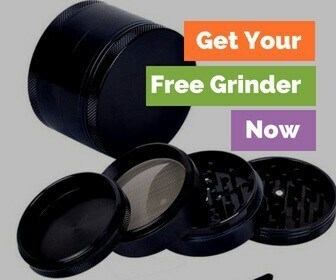 While we are only here to help protect your cannabis use, If marijuana isn’t the only thing you might get caught with, then get the [email protected] 12 Panel Cup. All you need to do is pee in one of the five cups provided, and you will get results on 12 drugs in five minutes. 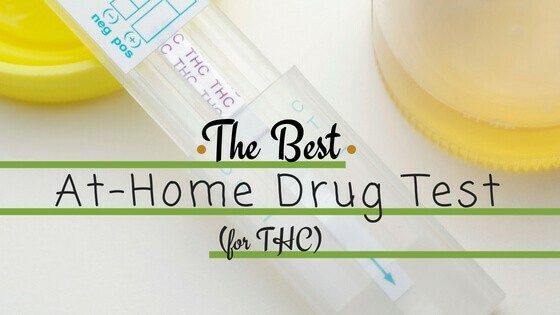 The best at home drug test for THC can really help you out in a pinch. If you do need to get clean for a drug test, just remember that most of the products that claim to be a quick fix don't work. If you need to get clean, stop smoking and do it right. And if you can't stop smoking because of your medical condition, you might be better off opening dialogue with your employer instead of trying to game the system. 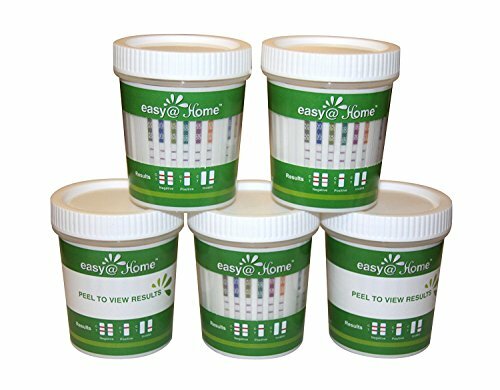 If you do need an at home test, just pick up a simple, cheap test that only tests for THC and you won't be disappointed!